The #10 Gators welcomed the #21 South Carolina Gamecocks with a 14-3 win to open the series. 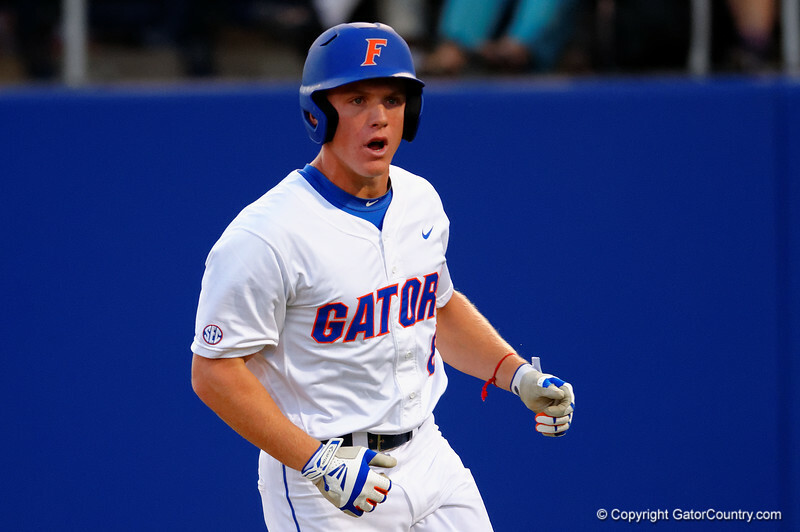 Florida Gators outfielder Harrison Bader runs to the dugout following his home run. Florida Gators Baseball vs South Carolina Gamecocks. April 10th, 2015. Gator Country photo by David Bowie.